In January 2015 I was talking to a friend at work about how I had always wanted to do the Color Run in Sydney, and we decided to ask around and see if anyone was interested in putting together a team. Turned out seven of us were keen to get up early on a Sunday morning and be pelted with clouds of coloured dyes by complete strangers, so we took it one step further and made it a fundraising run for the RSPCA. 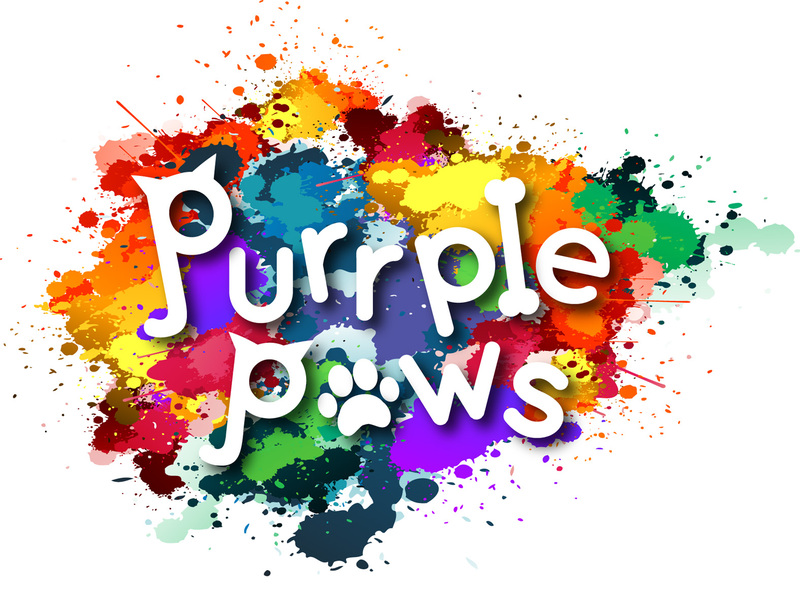 Our team was called the Purrple Paws, and I designed our team logo in two versions, one that was a plain purple generic one we could use for future fundraising events, and another more crazy one specifically for the Colour Run. I also set up our fundraising webpage and designed and wrote a poster (with bad puns galore) to promote our fundraising efforts through emails and our Facebook accounts. For the actual race, I made everyone ears from purple glitter paper on headbands, purple gloves that I drew pawprints on and we found some purple plaits that we could use as tails from a hair accessories shop. It was a fantastic day, a lot of fun and we managed to raise $1,322 for the RSPCA! I created personalised certificates for all our donors as a thank you for supporting us. Since then our team has done other fundraising events, most recently a second-hand book, CD and DVD sale held at our workplace on Close the Gap day. People donated their unwanted books, CDs and DVDs and we sold them for $1 an item. It proved to be surprisingly successful given the small amount of publicity and organisation we did, and we raised $250 for the Indigenous Literacy Foundation, with other sales planned for the future.